Stadio Paolo Mazza will host Sunday’s football game between SPAL and Bologna, the two teams, who sit in the danger and relegation zone respectively in the Serie A standings. 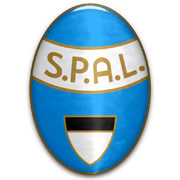 SPAL made a fine start to the season, but they do not seem to be on top of their game at the moment, with the team failing to win previous ten league fixtures. Gli Estensi shared the spoils with their rivals in each of their previous four home games in the Italian top flight, but we believe that the time has come for the Stadio Paolo Mazza outfit to get back on course. The Rossoblu are on a three-game losing run in all competitions ahead of the relegation six-pointer and seeing that they produced a poor performance in a 2-0 Coppa Italia loss to Juventus at the weekend, we are tempted to put our money on the hosts.